Featuring the Dawn Patrol, finally witnessing a sunrise. Spring is on its way! Featuring Don steering the Polar Oartex on a snowy Sunday morning. It's Whaleboat Wednesday! 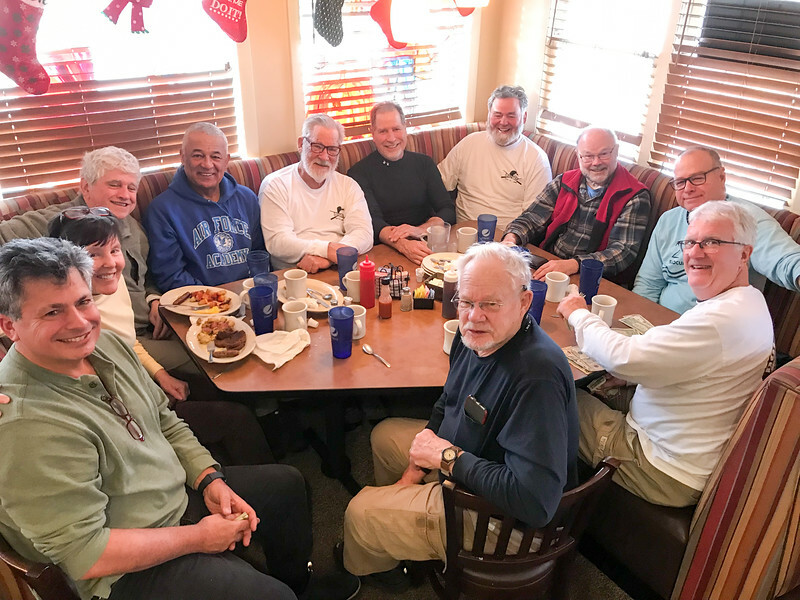 Featuring the crew of the Flying Fish at the Snow Row on Saturday. 17 degrees, 21mph winds, 30mph gusts and 2ft seas. Perfect day for a race! That's the Melville in the top right. It's Whaleboat Wednesday! 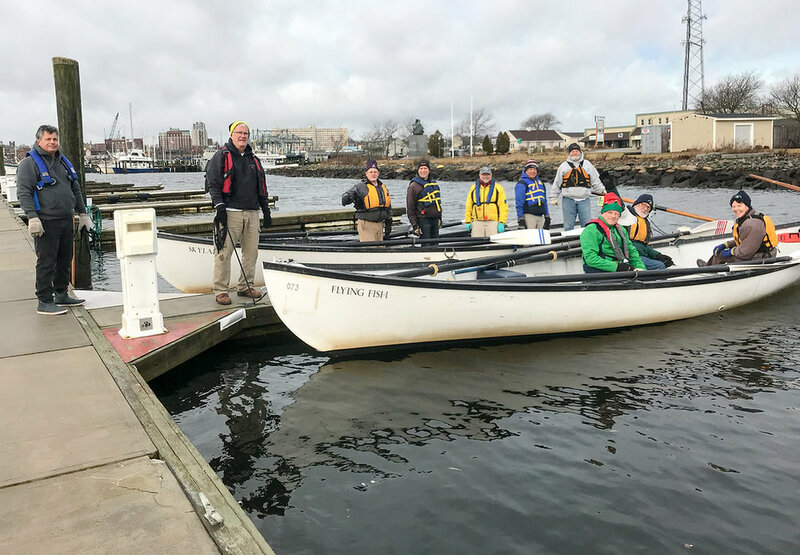 Featuring the crew of the Flying Fish training for the Snow Row in Hull on March 17. It's Whaleboat Wednesday! 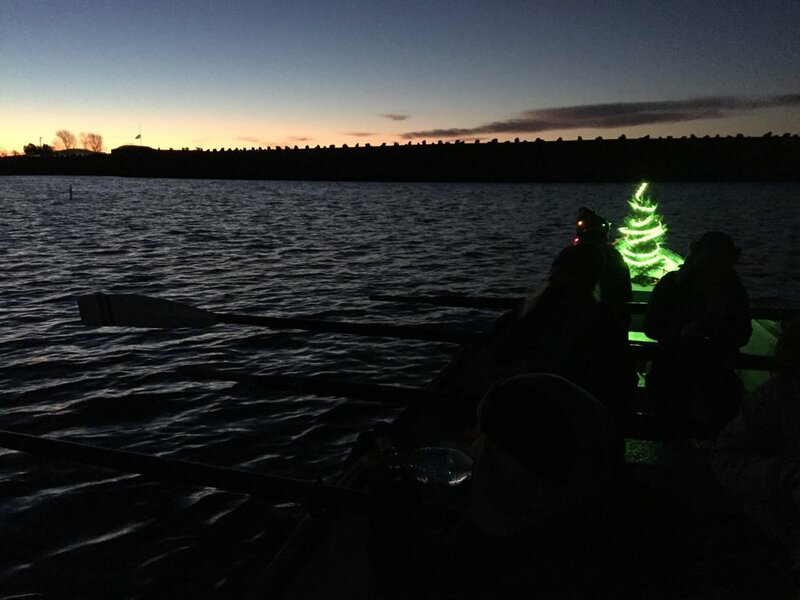 Featuring the Dawn Patrol, patrolling the dawn. 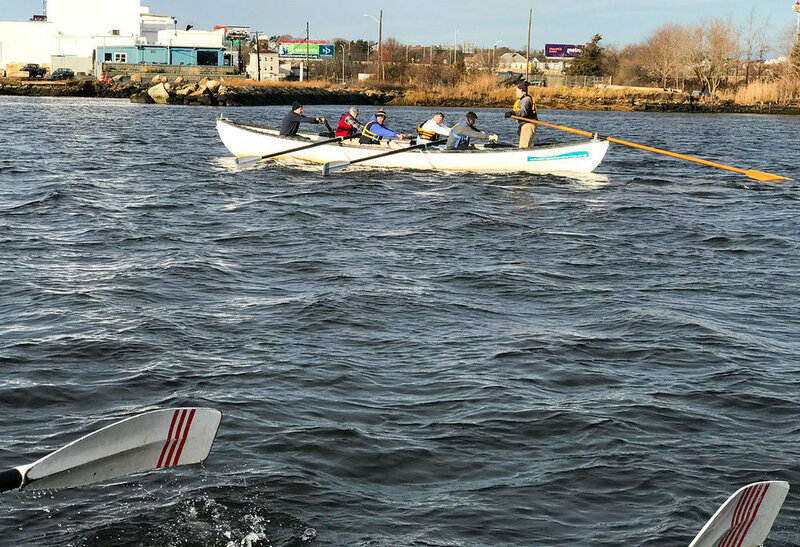 It's Whaleboat Wednesday! Featuring the Hot Flashes, heading out into the harbor. Featuring the Dawn Patrol on perfect morning. 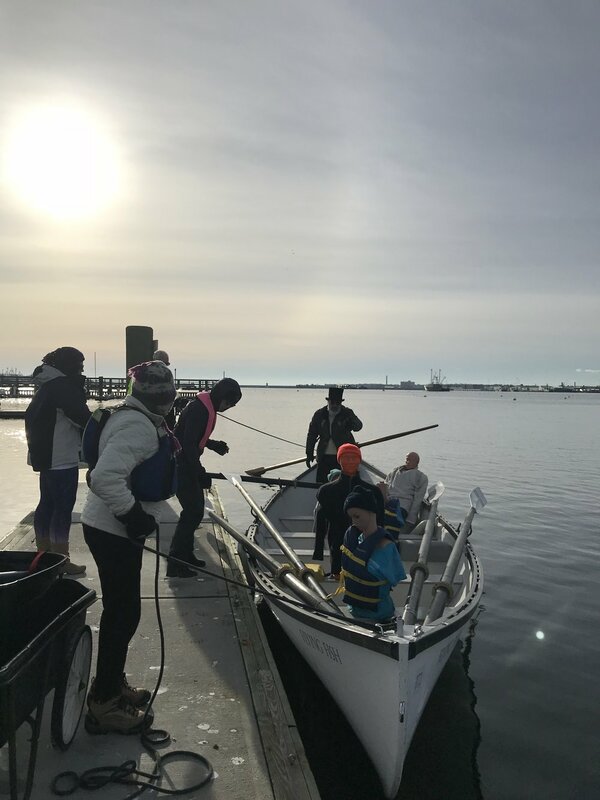 We spotted and harpooned a TowBoatUS, which took us on a fun and relaxing 'Nantucket Sleigh Ride' to the mouth of the Slocum. Just like back in the 1850's. 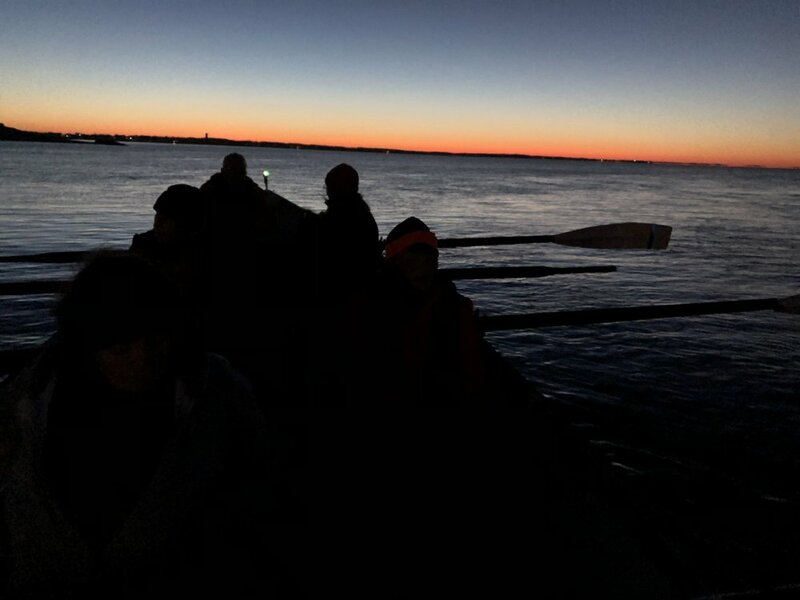 Featuring the Dawn Patrol returning to Pope's Island. also congratulations to Ryan Dwelly for winning the coveted Golden Ladle for the Wicked Best-est Chowdah 0f 2017 and Lee-Ann Ruf for winning the cherished Golden Spork for the Wicked Best-est Chili of 2017!